PORTLAND, Ore. — As the No. 15 and No. 16 ranked teams on the NCAA Tournament s-curve, Indiana and Louisville were given little chance of playing close to home for the opening weekend. 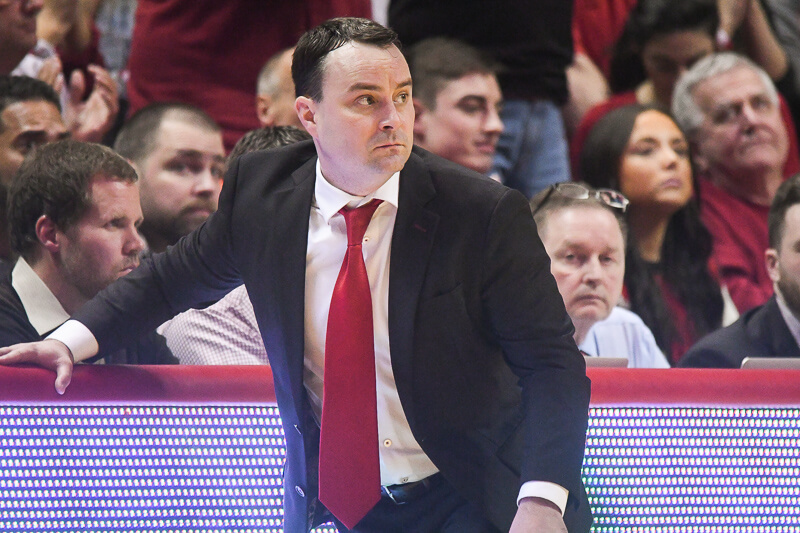 As both teams prepare to kick off March Madness in the Pacific Northwest on Thursday, Louisville coach Rick Pitino said Indiana’s turnaround season that few predicted did not come as a surprise to him. 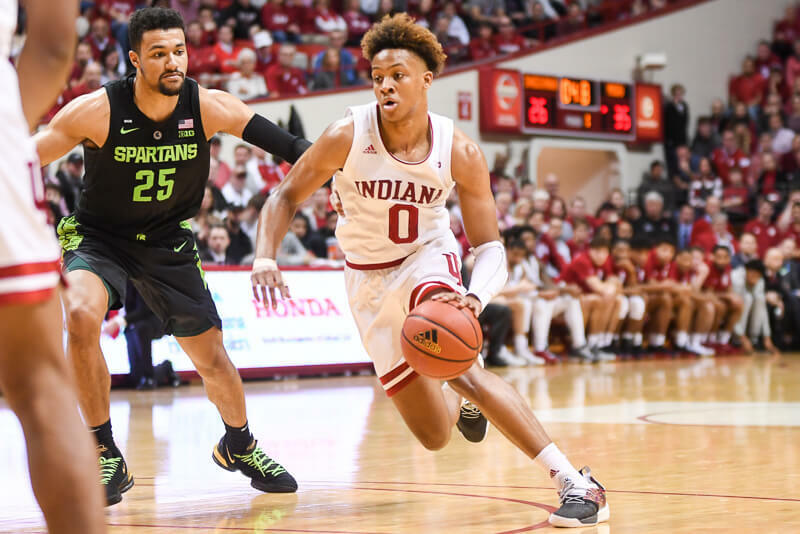 After struggling through records of 6-25, 10-21 and 12-20 in Tom Crean’s first three seasons, patience was rewarded in year four as the Hoosiers met and surpassed expectations to earn their first tournament berth since 2007. Pitino said he believes the manner in which Crean went about rebuilding the IU program was the correct path. 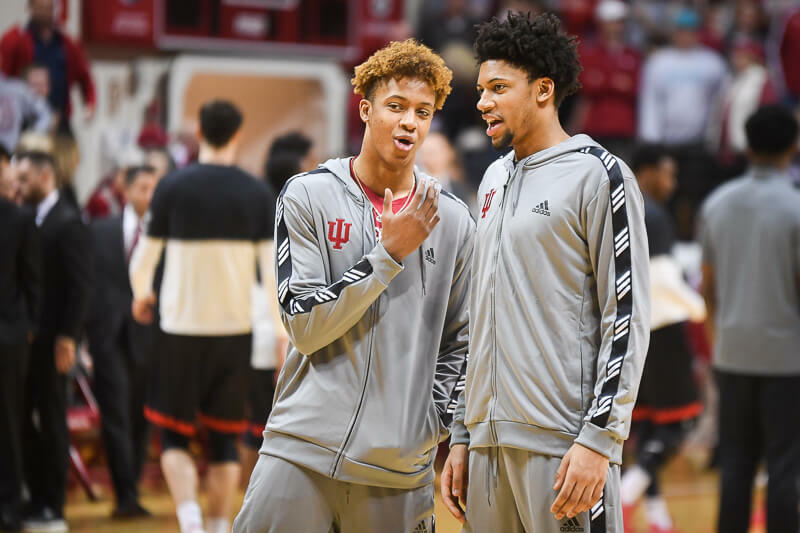 With Indiana seemingly back, strong fan presences for both schools in southern Indiana and just 90 miles separating the campuses in Bloomington and Louisville, could the Hoosiers and Cardinals resume a series after not playing for ten years? I would love to see a yearly game against Louisville. Not only would it help in our nonconference strength but it would be another nice rivalry game. Louisville is always tough so it would be good for the players to get some other experience playing different style of play outside of the B1G schedule. I have always loved trying to sweep the KY giants. These schools are too close to each other to not play each other. Davis was crazy to stop this series. Can I just admit I’m a sucker for when opposing coaches and players say nice things about the Hoosiers? Pathetic, I realize, but I can’t help myself. That aside, I think a series with Louisville would be great. An early season loss to a good team never hurts, but a win always looks good. Plus, building up rivalries within our region is an excellent way to help keep the best local talent home. And, while nothing may be set in stone, Calipari has begun to waffle on his commitment to the IU-UK game. I see nothing but good things from playing Louisville. About that s-curve bull, how does West By God Virginia get a de facto home game as a 10-seed against a team traveling 1,900 miles to the site? NCAA made-up genius-ing at its best. The pod format stinks about as bad as the homogenized appearance of the playing surfaces. If the West Coast can’t put together better teams to fill higher seeds, then only put one subregional west of the Mississippi. Yes, I am wanting some Cardinals! Feed them to the movement! Spit em out and move on to the Big Ten. I would love an alternating home court annual rivalry with them. They are in our backyard. I also think that instead of pulling a bunch of small conference schools from the east, we should be annually playing the Indiana schools in the non-conference every year. Fill up the schedule with a big pre-season tourney, Indiana St., Ball State, Butler, Notre Dame, Valpo, Evansville, and Vincennes. Top it off with the ACC challenge series and annual UK and Louisville game, and lets roll! I am sure we won’t be able to schedule some of them every year but every other year for some like Ball State, Evansville, Valpo, and Vencennes. But certainly we should have Butler, Notre Dame, and Indiana St (just because they have pretty nice basketball history). But I would also like to get back into occasionally playing teams like Kansas or possibly Marquette on some sort of rotation. There simply is no reason to be playing a Duke or UNC type preseason cup cake schedule when we will be bringing talent eqaul to anyone in the country. It also wouldn’t hurt to find a road trip somewhere out west in preperation for getting the feel for doing so if needed in the NCAA tourney. Set a bar for the rest of the country to try to stack up with in terms of seeking out competition. I just don’t want to hear any analyst say that IU is not playing anyone. Ha. Davis? IU and L’ville have played a grand total of 16 times, and at least one of those games wasn’t even scheduled (1993 Sweet 16). Hard to blame MD for this one. ND, maybe. Although Mike Brey needs his steady diet of East Coast gimmies before Big East play starts, so as long as he’s there we won’t play (unless the Crossroads Classic is here to stay, which I doubt). Truth is, IU and L’ville have a long and illustrious history…of not playing each other. We do seem to be about ready to add another power to our non-conference schedule, so a team that would spark as much regional interest as the Cards do would make a lot of sense (and would become a no-brainer if the IU/UK series ends, which I pray doesn’t). Exactly. I know what Alex meant, but it’s hard to read that when there’s always an example like WVU. Shoot, PU playing in Omaha is a much better deal for their fans than ours, and we’re talking top-16 seed vs. top-40. Common sense says that there are far more basketball-playing, Division I-A schools in the central and the eastern parts of the country, so it’s time that is reflected in the regional and subregional sites. Omaha and St. Louis are really about as far west as they should get. And I’m glad someone else hates these courts. It was 2007 I believe when all the regionals went to it. Now the last 3 tourneys it’s been subregionals too. Makes it hard to know where the game is unless you can read what it says underneath either basket. Growing up right across the river from Louisville, it was always much easier catching a Cards game on a local channel and growing to apprieciate that program. But nothing like listening to the Hoosiers on that old radio shaped like a beer keg at the kitchen table with my Gramps! Bring em on! Yeah, I thought I was getting a little carried away with the Indiana schools, I did resist IUPUI and IUPFW though! I would actually like to see IU schedule one of the new-school, up and coming programs for a home and home series, like Florida, Missouri, Arizona, etc. Louisville would be an interesting matchup though, and good for the area. Arizona, Gonazaga, SD St., UNLV, UCLA, Washington, or Stanford would all work for me. But I think we should also pick up a rivalry with Louisville. I just think it is smart to travel out west once each year. It seems like we usually get to the east coast almost every year with the ACC challenge. Next year they are already heading to New York for that legends of C.B. classic. It just seems like a good idea to expose a qaulity team to tremendous competition and make them understand that they have to bring it every time they suit up. another reason to play at IU, playing pUKe and the ville every year. at least Pitino has a little integrity, coach Calamari?……..
Let’s do it , Tom! the ball is in our court now. We can handle them. I am an IU first, UofL second fan. Needless to say I hate UK. This is a no brainer for IU. start the rivalry! If the KY games end then slide in the UL game. I like the fact that CTC wants to keep ND,Butler and teams like E’ville lets keep dominating Indiana (good for recruiting) and let that state to the south go away.. Living 20 minutes from Louisville and having to listen to only pUke of L and pUKe coverage down here I would say DO IT!!!!!!!!!!! The IU-Kentucky games may be coming to an end because they know we are to the point where they may not beat us again. I think we should have an in-state tourney every year. IU, PU, Notre Dame, Butler, Evansville, Ball St., Indiana St. IUPUI, and whoever I may have left out. I think this would be great for fans as well as for in-state recruits. I believe its time to beef up out pre-conference schedule to better prepare us for the B1G play and think Louisville is a great place to start. I just posted something very similar to your post sorry. Guess I should read the comments first to make sure I’m not repeating what someone else has already suggested. I think an instate tourney would be a great idea. Pitino is assuming it would be a tough game! I’d say play Louisville. Great for recruiting, great for the fans. I think with the influx of recruits coming in, IU should play UK and Louisville every year, and that tournament with Butler and Notre Dame. Play all the Indiana schools (Purdue of course in the Big Ten), and throw in a intersectional rivalry with say Arizona, UCLA or Stanford (home and home), or a Georgetown, UConn or a Missouri. Great nonconference schedules prepare for the Big Dance. And the Hoosiers will have the horses to get it done… God, I can’t wait for tomorrow night. Go Hoosiers!!!! I love the idea of playing a regional big east team regularly. Louisville is my #1 choice, Cincinnati is #2. It’s good for both fan bases because the games are close and it gives two good teams the chance to sharpen their teeth. If we’re going to be competing for finals fours, we need a final four worthy schedule. Next year we have two of UCLA/Georgetown/Georgia, UK, ACC, and Butler. Now THAT’S a schedule. The following year I would love to see is sign up for a home and away with Louisville. UK will be back in b-town, Louisville will be playing in Lexington, perfect time for us to go to Yum! We can go back and forth from there, with each of the three teams playing one home game and one away game in the series every year. Tell me that’s not perfect. 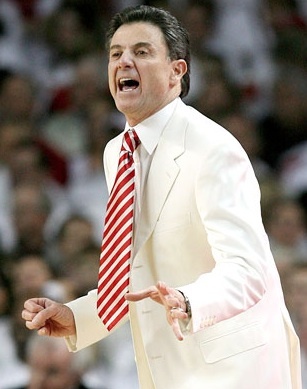 Also, we should only schedule this if Pitino wears that suit. Oh the horror if Crean ever tried to show up in a suit like that. Let’s play Colonol Sanders suit any time, any where. Drop Calipari and play Colonol Sanders instead. I would love to see a home & home series with Louisville. That lineup in itself is in my opinion challenging enough for all but the most elite of teams. I would not add UofL as a regular, but more of as a one-off in years where the above group have down years or if we are exceptionally good and need that extra challenge. Harlen Sanders was born just up the road from me in Henryville, IN. So Hoosiers had to teach Kentuckians how to make chicken as well as how to play basketball. Let’s get real here. Pitino is the anti-Calipari. Calipari says he wants to drop IU so Pitino says he wants to pick IU back up. I would love to see the Big 4 classic again. IU never got the proper respect we should have from UK when they were put on probation and could not appear on TV and we didn’t drop them from the Big 4. That should be one of the preseason games. You don’t get a much better D-II school against whom you can test yourself. Don’t go there—–I like calamari and you’re going to make it an unpalatable dish associating it with that clown. I’m with you—I’d be happy to see IU play U of L, but I’d be happier to be able to pick up Dan Dakich on a daily basis over numbnuts like Matt Jones and the Afternoon Underdogs. At there very least, can Alex talk his dad into going back on the air on a daily basis. I would love to start up a game each year with Colonel Sanders team. What a getup? I am against a game with Cincinnati though. They really are thuggish ruggish down there and there is no need for us to be associated with them at all. Yes they seem to be. My only distaste with the fanbase are the Lou fans that are from and live in So IN and bash IU fans for being IU fans instead of Lou fans because Lou is closer than Bloomington. I know a lot of those and that argument gets old. This is Indiana. This is our state. Hilarious! Indiana Fried Chicken just doesn’t have the same ring to it and Indiana Plate-Sized Tenderloins never took off (outside of Indiana, that is). Mmmmm. Now I know what I want for lunch…a big-as-my-head tenderloin! Starting next year, I thought we rotated the ND and Butler games with PUke. If that’s true, we have an extra slot open. We could get rid of the lousy non-conference opponent in February and add UL in December. I’m game. It would be a nice rivalry. I agree with you on the no to UC. Don’t want to play a team that seems to be associated with some sort of suspension every year. I share the same sentiment about not wanting to lost the pUKe series, but maybe since the pUKe series is now alternating home games, maybe if the Crossroads Classic indeed does not work out, Indiana and Louisville could possibly start a new alternating neutral court series. That would be a lot of fun with how close the schools are, the amount of fans each schools have, and the prestige both schools have.